Diversity candidates are encouraged to apply. The camaraderie and respect that each person at the firm has for each other is apparent and makes for a wonderful work environment. 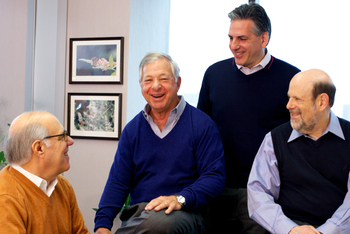 At Manko, Gold, Katcher & Fox, our attorneys are our most valuable resource. Our open door culture creates an environment of learning and collaboration so that each individual can provide their unique contribution to the team. Our focus on work-life balance does not impact the quality of our work product but greatly impacts quality of life for our talented and driven team. These were key priorities for our founding partners that still hold true more than 25 years later.